Imagine a group of 15-35 people gathered, (not unlike the days of the early church), faithful, curious, coming from all types of backgrounds to spend time exploring God’s presence in their lives. They gather for 15 minutes to hear God’s Word, pray, share together in the Lord’s Supper and then afterwards, a full meal. This is the work that is growing at Barnabas Community. Last March, we began intentional conversations with guests that were seeking ways to engage with God and today, we have a regular group attending weekly worship. Many are seeking time for prayer, to receive Holy Communion and a place to be themselves while also encountering Christ. It truly is a beautiful time set apart for this community to come together. We hope if you are free on a Thursday evening, you will join us for worship and the meal afterwards. 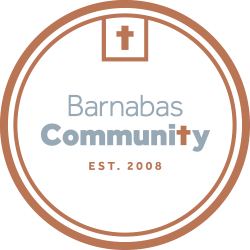 Keep this growing ministry in your prayers as we discern further ways to build up the spiritual lives of the Barnabas Community.